Let’s round out the month with the top five reasons we like hanging upside down on an inversion table. Relieve Back Pain: Reduce nerve pressure, relax tense muscles, rehydrate discs, and realign your spine. In fact, in a recent study released by Professor David Mendelow, head of Neuroscience at New Castle University in England indicated that patients who invert regularly with an inversion table are 70.% less likey to require back surgery. Relieve Fatigue & Stress: Full body stretching unlike anything else, lowers heart rate through rhythmic rocking, lowers EMG activity (an measure of muscle tension). 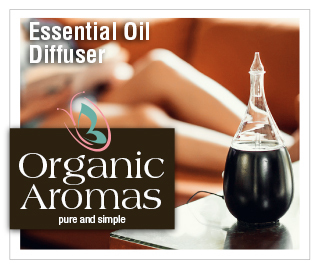 Detoxify/Improve Circulation: Helps the lymph system by moving lactic acid from the limbs, aids your heart by moving blood from the limbs/extremities, Helps relieve varicose veins. Increase Oxygen Flow To Your Brain: More oxygen to your head could help with mental function/stimulate hair growth/improve skin tone, helps brain cells thrive & develop. Improve Your Functional Fitness: Realignment of back, strengthens ligaments, improves orientation & balance training for athletes. Exercises like sit-ups and stretching can be done on your inversion table. Always the Best Prices: In fact, we will beat any advertised price you can find plus 10% of the difference for up to 90 days after your purchase!! Yes, there are some reasonable conditions. Fast Shipping: We mean FAST. Your inversion table will ship from a distribution center near you, either Pennsylvania, Georgia, Washington, or Nevada. Unless you really want to lug a 65+ lb. package home from a store or wait for UPS to deliver from someone who only has one distribution center. Speaking of that… most inversion table retailers are simply middle men who do not actually stock the tables. We stock them and we use them ourselves! 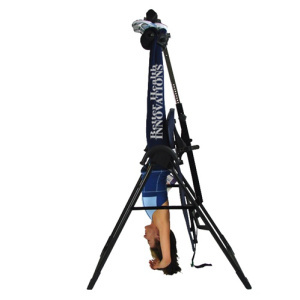 30 Day Money Back: For Teeter Hang Ups inversion tables, try it for up to 30 days. If you don’t like it, the table may be returned for a full refund with no restocking fee. Authorized Dealer: Your table will be brand new, not a repack or blem. Your table will have the full factory warranty (5 years for Teeter Hang Ups). Full-line dealer: We carry the entire Teeter Hang Ups and Stamina inversion table lines. Whether you need a part of Gravity Boots or you need a full-blown powered commercial inversion table, we’ll take care of you! UPDATE: We are now recommending that you purchase your inversion table on Amazon: Click Here for the full Teeter line!